PEMF Omnium1 Mat and FDA Approval. FDA Approval is the vehicle for this becoming used in homes more and more. I have learned that Magnetic Fields are pulsed using difference waveforms at various frequencies and intensities. This technology for home use is created using LOW frequencies. PEMF devices by Swiss Bionics use Earth frequencies, known as Tesla-Shumann Resonance (about 8 Hz) and their harmonics (multiples of the 8 Hz frequency) that are believed to have healing properties. In Europe — Health centers and hospitals have used this technology for years. They are used to treat pain, to enhance healing of bone fractures, to treat depression and other psychological disorders, to promote circulation and functioning of the immune system. It is important to know that Swiss Bionic is the very best company, and has the superior technology, due to the commitment of the Founder and CEO Wolfgang Jaksch. 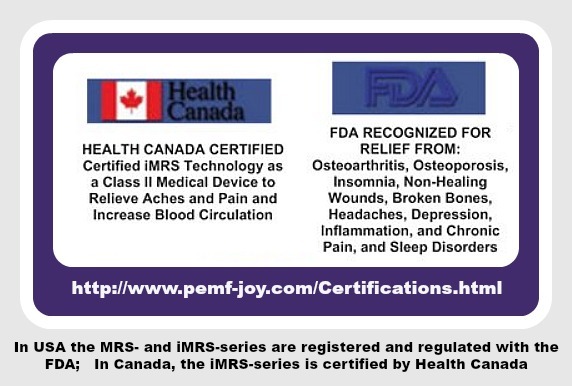 PEMF Omnium1 Mat and Health Canada ~ I live in Canada so this is exciting news! 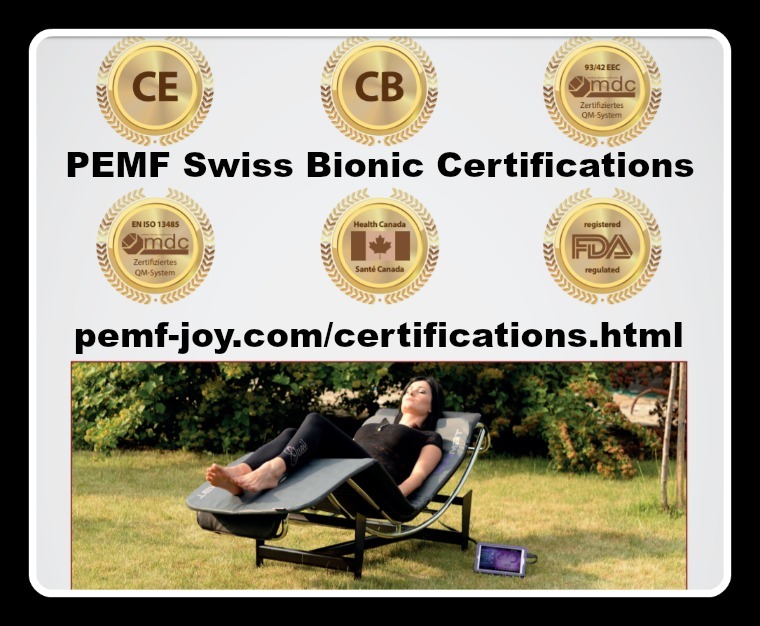 On November 3, 2015 Swiss Bionic made history as the first legal whole body PEMF system in North America to receive the medical device license from Health Canada. The iMRS technology used in the medical device is the same technology used by Swiss Bionic within the Omnium1 Mat for home use. 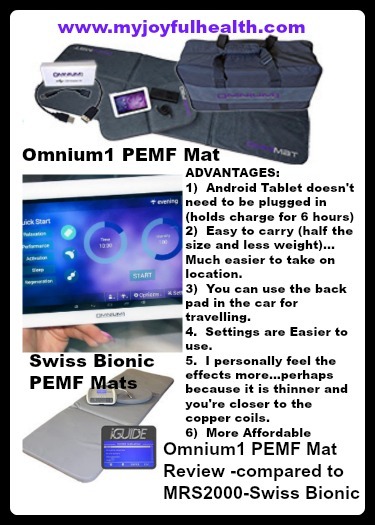 PEMF Omnium1 Mat technology is based on the technology of NASA, highlighting muscles, bones, and depression. Because of the technology of NASA Science, we can enjoy the pulsating healing frequencies of Nature, brought to us on the PEMF Omnium1 Mat. NASA spent $3.5 million in 4 years of study on Magnetic Therapy. As a result of this technology, Swiss Bionic Solution is the company that created the Omnium1 Mat. This is the mat I use at home successfully, bringing Joy to my cells! Studies show benefits in various muscle diseases, age-and-cancer related muscle atrophy, osteoporosis and other bone diseases. I have seen my own results in more energy and more balanced emotionally. I like to call my Omnium1 Mat, my Omni Mat — or, even better, my Ommmmmni Mat. It is so relaxing, and has helped me with depression, anxiety and stress.